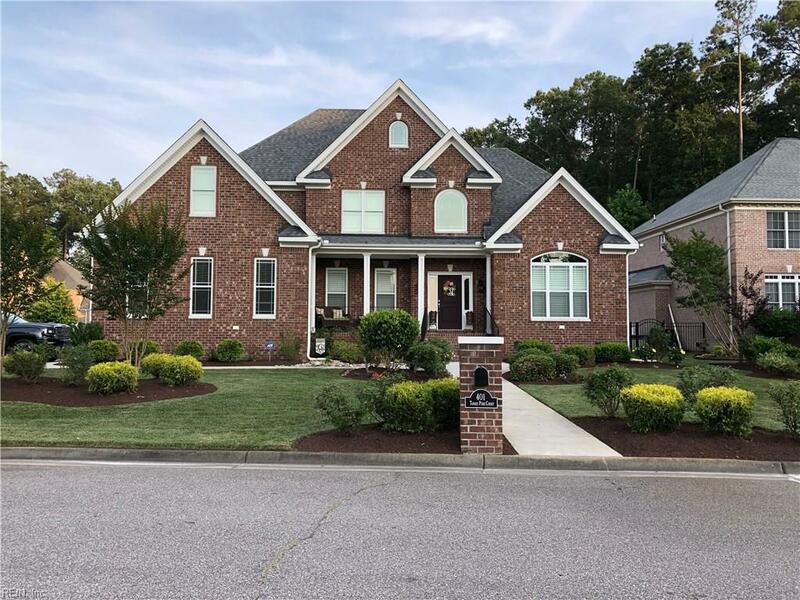 Stunning, meticulous all brick custom home built in 2013 by award winning Homearama builder boasts spacious, open floor plan located in highly desirable Cahoon Plantation & Grassfield school district! 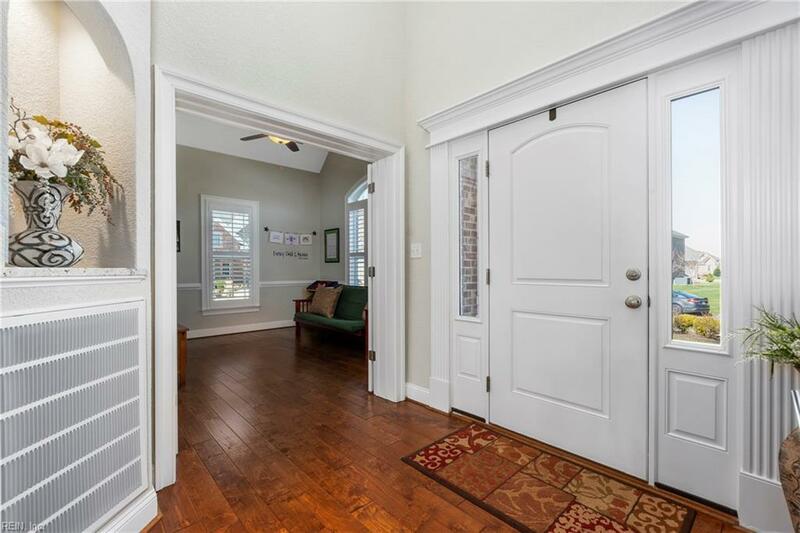 Gorgeous wood floors, exquisite mill work, plantation shutters, an office w/french doors & formal dining room! 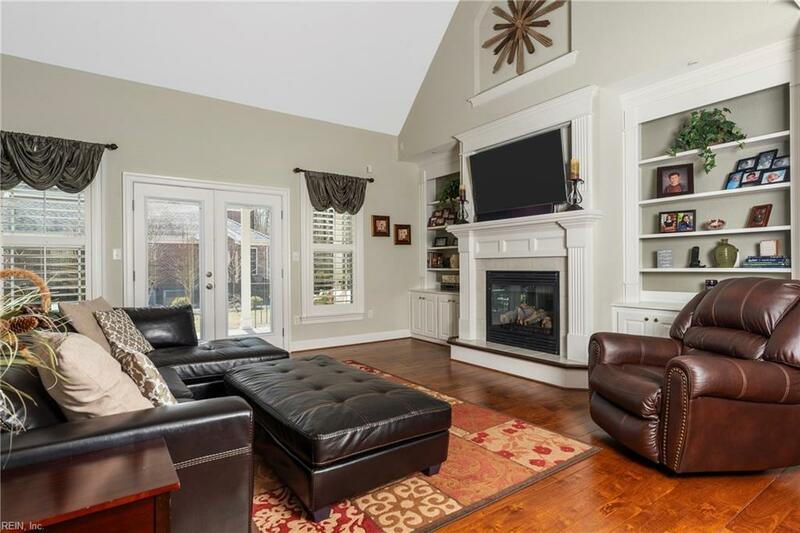 Spectacular gourmet eat in kitchen is truly an entertainers delight w/gas cooktop, wine cooler, S/S appliances, huge island, granite countertops & breakfast bar which is open to a beautiful 2 story family room w/custom built-ins, gas FP & wired for surround sound. Elegant first floor master suite with a lavish master bath! Also a 2nd level master B/R w/full bath & walk-in closet ideal for guest suite or media room. Kitchen & family room access to an awesome covered porch w/outdoor speakers & a paver patio w/a seat wall! 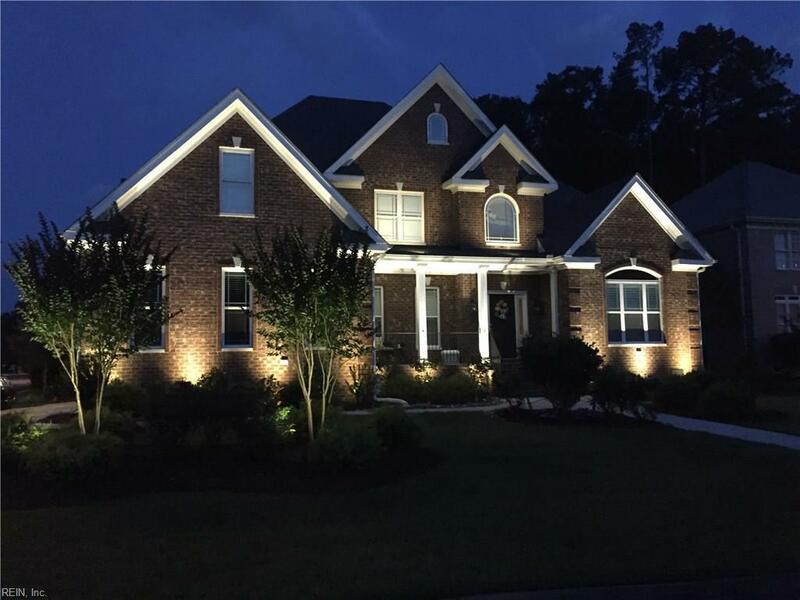 Professionally landscaped front & backyard w/Wifi outdoor lighting package & Christmas lighting package. EZ access to all interstates via the Veterans bridge!